Administrative monetary penalties (AMPs) are used by governments as a means of enforcement and to encourage compliance with regulatory requirements. They are used to address non-compliance with various regulatory regimes including trade and border, environmental and financial legislation. In recent years, though, AMPs have also proliferated as an enforcement tool to regulate workplace health and safety. Most jurisdictions in Canada principally enforce health and safety through prosecution, but some have added AMPs to augment the enforcement arsenal. They are used heavily in British Columbia, where the maximum penalty currently available is $646,000, and in recent years, have become available in Nova Scotia, Manitoba, Alberta and the Yukon. In those jurisdictions, the penalties are substantially less than might be obtained through a prosecution. Indeed, in Nova Scotia the maximum penalty available is $2,000 for a corporation and lesser maximums for supervisors and workers. AMPs are capped at $5,000 in Manitoba, $10,000 in the Yukon and $25,000 in Alberta. In June 2017, the Canada Labour Code was amended to include AMPs, up to $250,000, as a sanction for non-compliance with health and safety requirements. Their implementation is still underway but having the second highest potential penalty of any Canadian jurisdiction suggests that AMPs could feature prominently in enforcement. The approach to determining the amount of an AMP varies. Nova Scotia applies set amounts. Other jurisdictions use a more complex formula that incorporates factors such as the size of the company’s payroll, severity of the contravention, risk of harm resulting from the contravention, recipient’s history of compliance (previous orders/directions, prosecutions, penalties, etc.) or an assessment of the recipient’s commitment to health and safety. In most jurisdictions, AMPs can be issued to various workplace parties including employers, prime contractors, engineers, architects, supervisors, workers and OHS consultants (who the Nova Scotia government considers to be amongst the “workplace parties”). Employers are the principal recipients of AMPs. AMPs are issued by health and safety officers — the same individuals who audit for compliance. In most jurisdictions, an AMP is issued at the discretion of the officer. However, in Manitoba, the officer provides evidence of the contravention to the director of Workplace Safety and Health who determines if a penalty will be issued. The time frame to issue an AMP varies widely. In Nova Scotia, an AMP must be issued within 14 days of the contravention order (extensions are available), while officers in Alberta and under the Canada Labour Code have up to two years after the contravention — which mirrors the limitation period for a prosecution in those jurisdictions. Role of government lawyers: Prosecutions are conducted by Crown lawyers and are to be carried out in the public interest. This places a high professional onus on Crown counsel. They must fairly present relevant evidence that they believe establishes the offence. If they believe that the prospect of a conviction has become unreasonable or if it is no longer in the public interest to pursue, they must stop the prosecution. The professional obligations that attach to a prosecution are not engaged in an administrative proceeding, such as AMP appeals. As such, counsel for the regulator could act more strategically in the appeal hearing. The government would, therefore, be much more like a regular advocate engaged in an adversarial process. Balance of probabilities: In a prosecution, the Crown must prove the offence “beyond a reasonable doubt.” For an AMP, the government must only establish the contravention on a balance of probabilities. The contravention may be easier to establish because, notwithstanding deficiencies in the evidence, the contravention may still be found more likely than not to have occurred. In essence, AMPs could provide an alternative means for the government to pursue a penalty where the strength of the evidence is insufficient for a successful prosecution. Requirements for pre-hearing production: Another strategic or procedural advantage that does not exist with respect to AMPs is the ability to keep the defence confidential until a trial or a hearing. In a prosecution, subject to some exceptions, the defence does not have an obligation to reveal its defence until it is presented at trial. The government may, therefore, be hearing and seeing the evidence for the first time at trial. However, an AMP is challenged through a proceeding before an administrative tribunal. The tribunal’s rules may include pre-hearing production obligations through which the evidence of witnesses or the content of documents may need to be revealed. Indeed, the obligation to produce documents could extend to anything that is “arguably” relevant to an issue in the case. This could mean that documents and materials the applicant would not wish to produce are required to be included with the material given to the government before the hearing. Procedural protections: There are also differences in procedural protections and rules. For example, some rights under the Canadian Charter of Rights and Freedoms (such as the right to trial within a reasonable time or the right to a fair trial) may not apply. That is because a person or corporation that has received an AMP has not been charged with an offence, which precludes application of certain Charter rights. However, there may be other avenues available to protect the applicant’s interests. 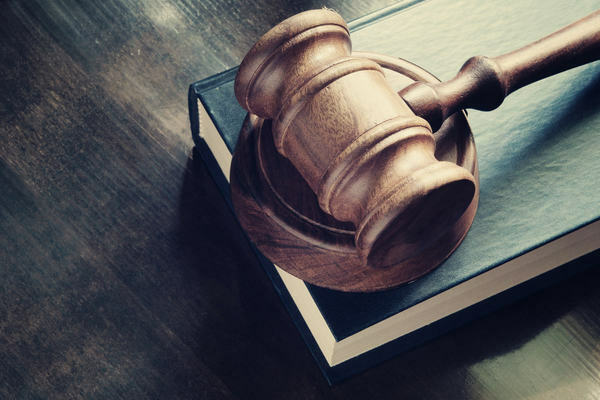 This could include raising issues of abuse of process or procedural fairness as those may be guaranteed by the common law or legislation that addresses administrative proceedings. Further, it should be noted that the strict rules of evidence do not apply before administrative tribunals. This could mean that both the applicant and the government are able to lead evidence that would not have been admissible in a prosecution conducted before a court. Helpfully, in the jurisdictions in which AMPs are available, the recipient of an AMP cannot also be prosecuted or receive jail time for the same matter. This might provide some comfort in certain situations but, candidly, it seems likely that, if the government believed that an individual’s conduct warranted a jail sentence, an AMP would not be issued. Due diligence defence: In some jurisdictions an AMP cannot be avoided on the basis of a due diligence defence. The amended Canada Labour Code specifically excludes due diligence as a defence to an AMP. Due diligence is either taking all reasonable care to avoid the contravention or reasonably believing in a mistaken set of facts which, if true, would render any act or omission innocent. In comparison, in B.C., an employer is not to receive an AMP if it exercised due diligence. In Nova Scotia, the AMP provisions do not explicitly address a due diligence defence. However, in Guild Contracting Specialties (2005) Inc. v. Nova Scotia (Occupational Health and Safety Appeal Panel), the Nova Scotia Court of Appeal held that the defence is to be considered in an appeal against an AMP. It seems the Nova Scotia Labour Board, which adjudicates appeals of AMPs, would revoke it if the defence was established. It is unclear why an AMP regime would not permit the recipient to avoid the penalty if due diligence had been exercised. An AMP is designed to penalize the recipient as a means of encouraging compliance with health and safety legislation. If the recipient was duly diligent, the intended effect of the AMP is unnecessary because the recipient does not need to be encouraged to comply. One question mark that remains is Ontario. In December, the province amended the Occupational Health and Safety Act to significantly increase monetary penalties but did not provide for AMPs. While we cannot be certain that AMPs are not under consideration, the recent change to the sentencing regime suggests that prosecution will remain the sole enforcement mechanism in Ontario. AMPs represent a different means of imposing penalties for non-compliance with health and safety legislation. They can, and in some jurisdictions do, attract penalties that are equivalent to or exceed what might be imposed through a prosecution. The means to avoid or mitigate AMPs are largely the same as those to address the risk of prosecution: a robust and demonstrable health and safety program. Deanna Shelly, associate at Mathews Dinsdale and Clark’s Toronto office, co-authored this article. She can be reached at (416) 869-2502 or dshelly@mathewsdinsdale.com.